This Saturday (September 26), approximately 4,500 runners will race through Banff during the Melissa’s Road Race. Participants will race the new 5km course – which takes runners through Banff residential streets and footpaths – or the 10km course. Melissa’s Restaurant will be donating profits to the Banff Canmore Foundation, The Banff High School Green Team, The Banff Daycare Society and the Banff Rugby Club. If you’re not a runner but still want to join the action, you can cheer the runners on or participate as a volunteer. Melissa’s Road Race relies on over 300 volunteers to help with First Aid, water stations, t-shirt distribution, food and beverage, bag check, finish line and course marshaling. All volunteers receive an original art work T-shirt, and 50% off coupon for Melissa’s. There is a Volunteer Party on Sunday, September 27 in Melissa’s Bar, starting at 7 pm, with lots of great food and beverage and many prizes. To volunteer for Saturday’s event, please contact a Manager at Melissa’s Restaurant, 403-762-5511. There will be no parking available at the Banff Recreation Grounds on Saturday September 26 until race completion; approximately 2:00pm. There is an expected delay of 12 – 15 minutes, beginning at 10:30 a.m.
Buffalo street is affected from Tunnel Mountain Dr. (Banff Centre) to Muskrat Street on the ascending lane. 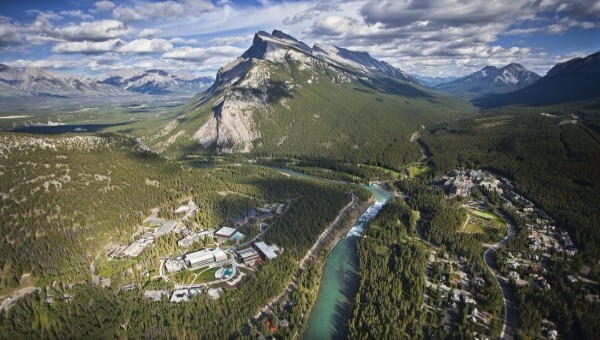 Vehicles can come down from the Banff Center but must use St. Julien Road to go up. (Delay from: 10:30 – 11:45 a.m.). A courtesy shuttle bus will take runners from Banff Avenue to Central Park and back throughout the morning. The buses will pick-up from five marked spots along Banff Avenue, every 15 minutes, starting at the Voyageur Inn. Anyone can ride the runner’s courtesy bus. Visit banffparking.ca to view the available parking spots, directions and time frames.